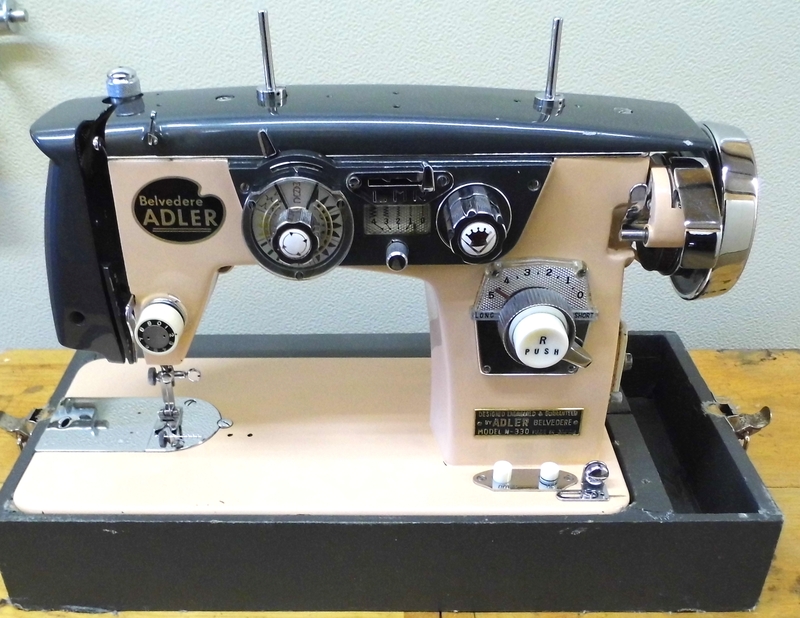 This beautiful Belvedere-Adler sewing machine was made in mid-Century Japan, and the precision and quality shine through. 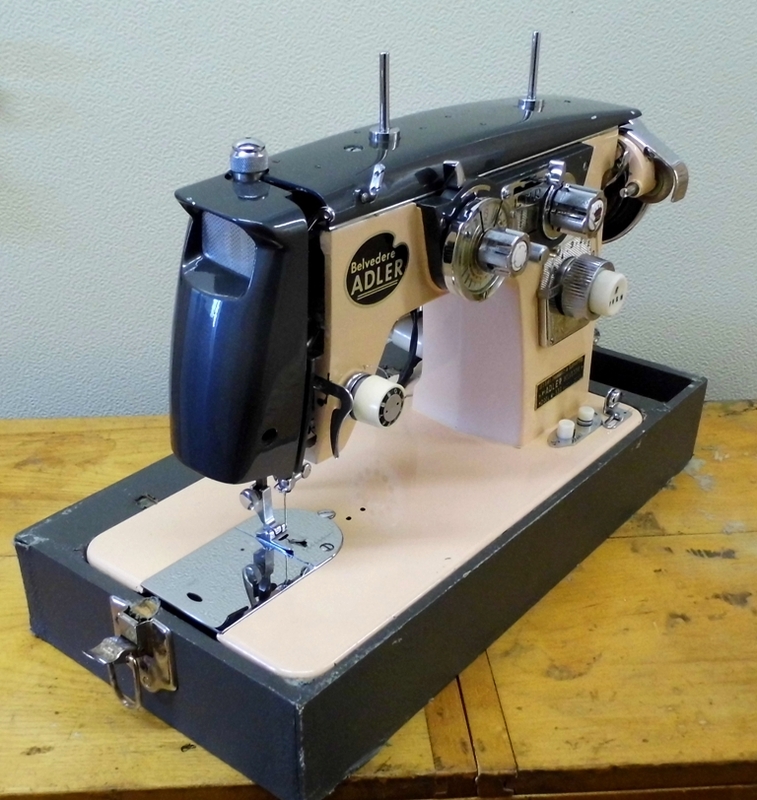 It's not just another pretty machine, this is a machine that you can sew on for the rest of your life. 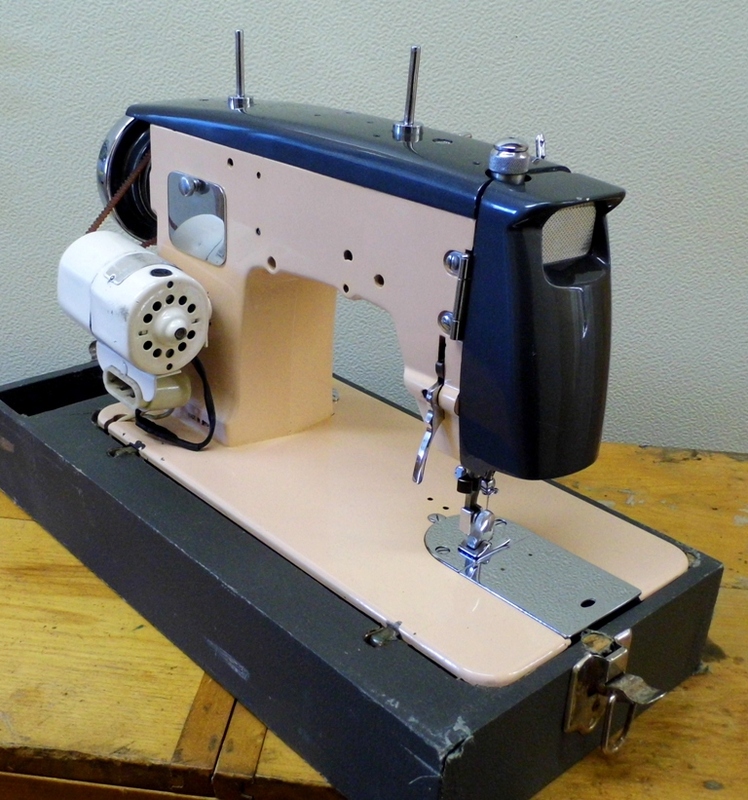 It's built to last and you'll be able to pass it down to your children and grandchildren. 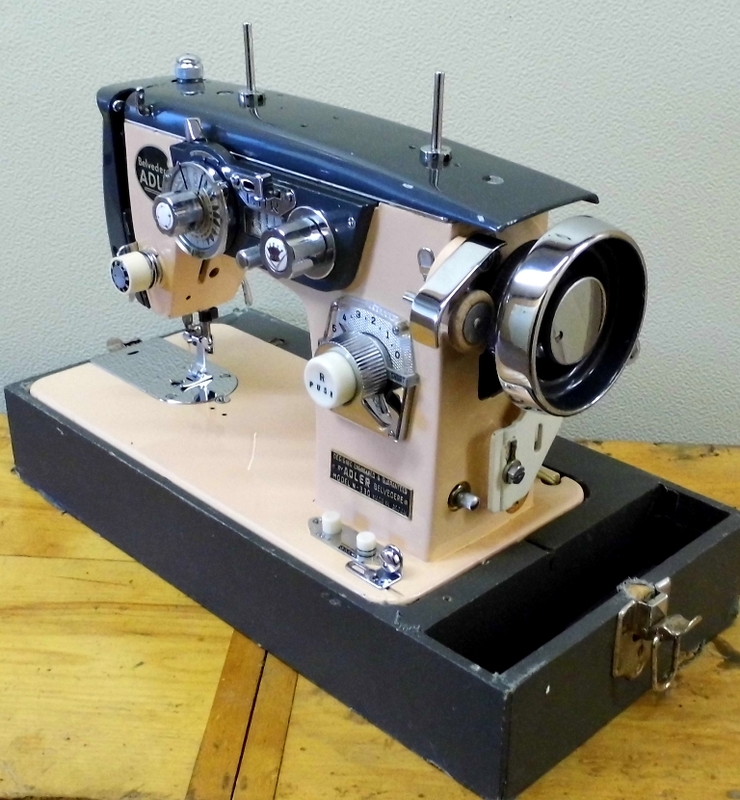 It uses standard class 15 bobbins, the most common in the world, and universal needles, and it's great features include an easy, bed-mounted feed drop, instant release sewing foot pressure, and lots of built-in stitch patterns. 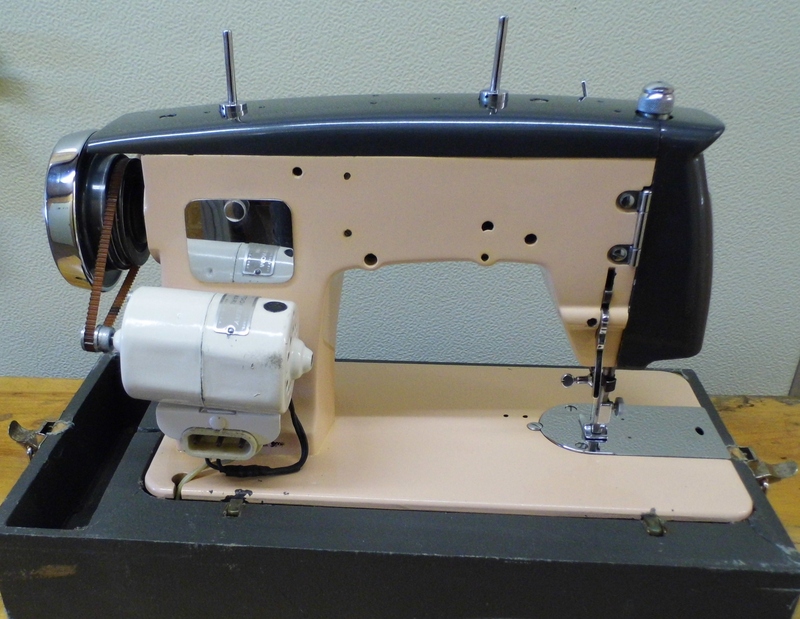 This one has just come off the restoration bench and it's running and sewing like a new machine. You've heard it said that, "they don't make them like they used to", and that's because they really can't. 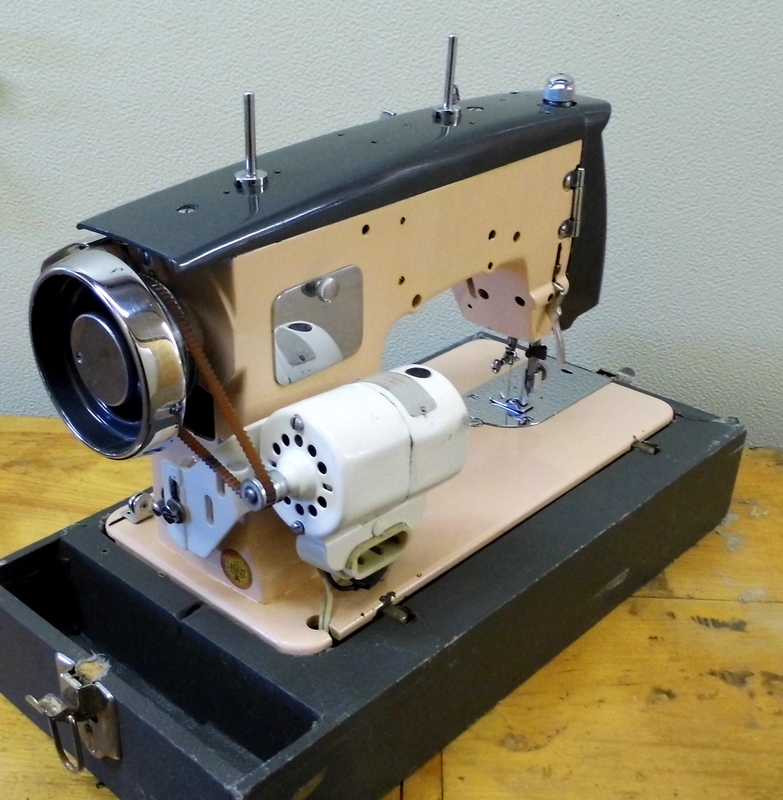 The Corporate bottom line mandates that profit is far more important than quality, so most modern machines are pretty much disposables, to be used for a few years and then replaced with another cheap disposable. Back to the rest of the cool machines!